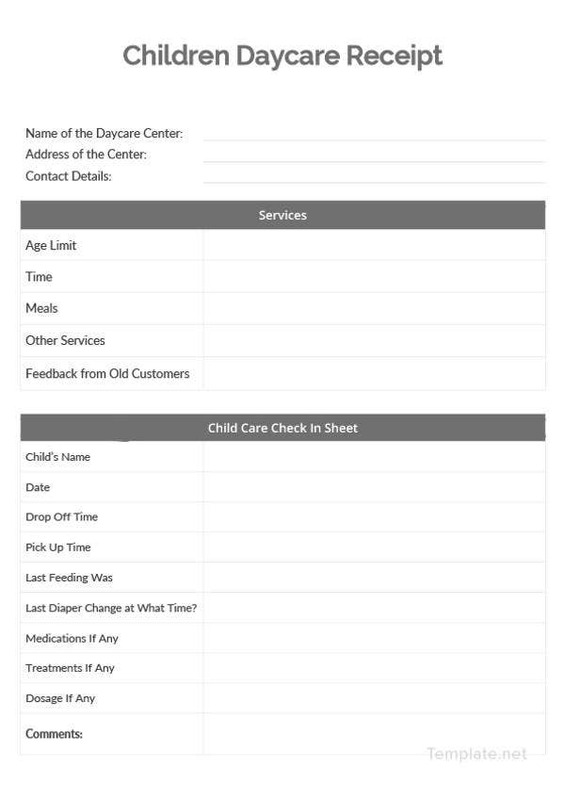 Daycare centers take care of small kids while their parents are busy working in the office. 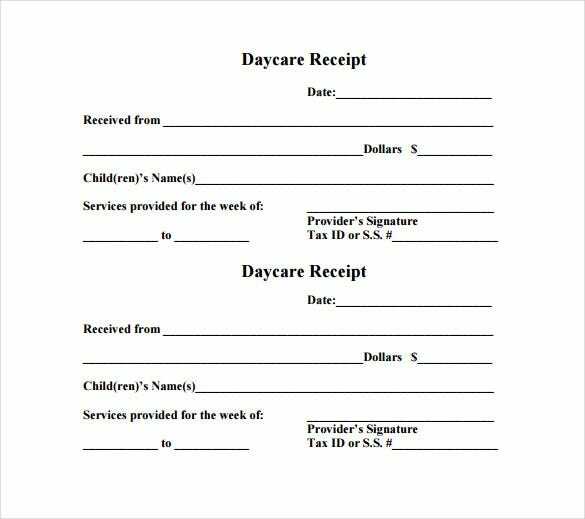 A daycare center uses daycare receipt templates to confirm and acknowledge the payments made to them by the parents. 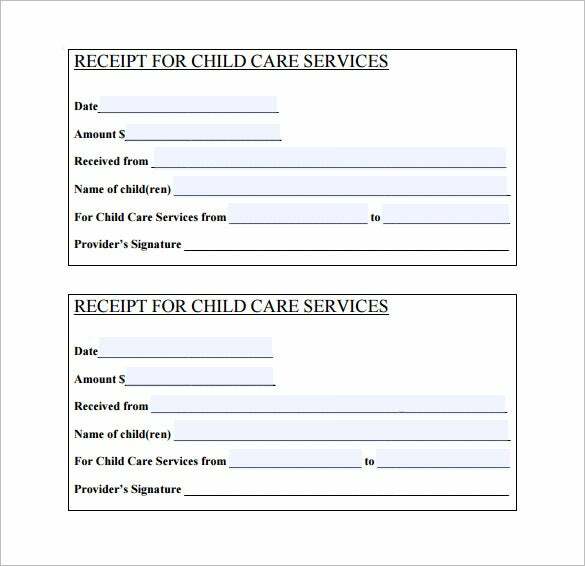 Different types of daycare receipt templates, available in the internet, are easily downloadable and can be obtained in a standard format. 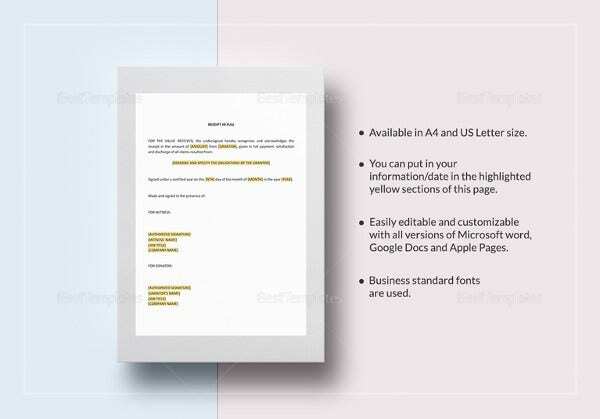 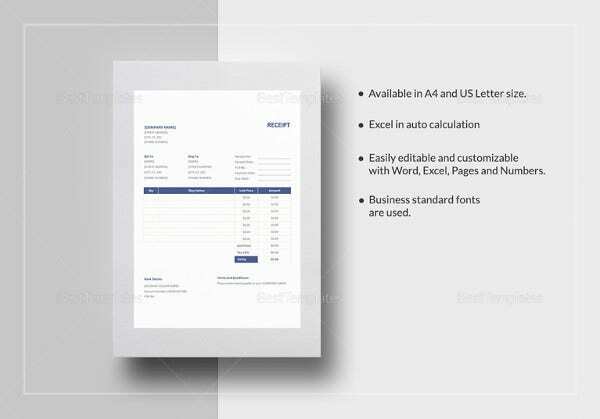 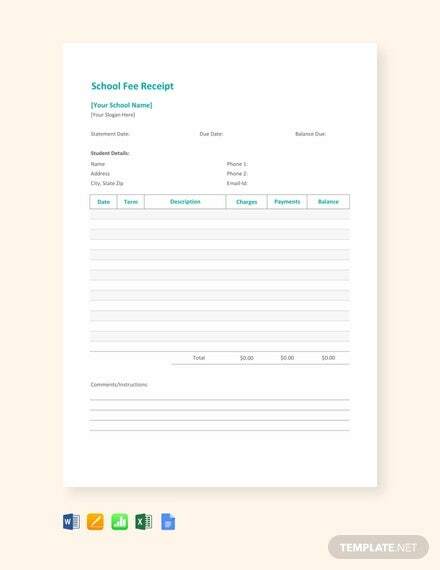 You can also visit Invoice Receipt Template. 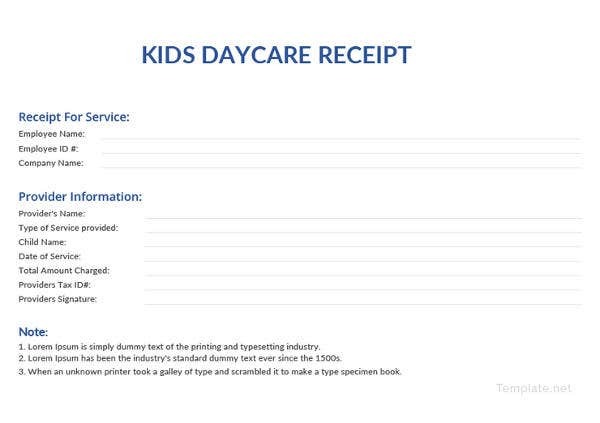 Why Does A Daycare Center Need a Daycare Receipt Template? 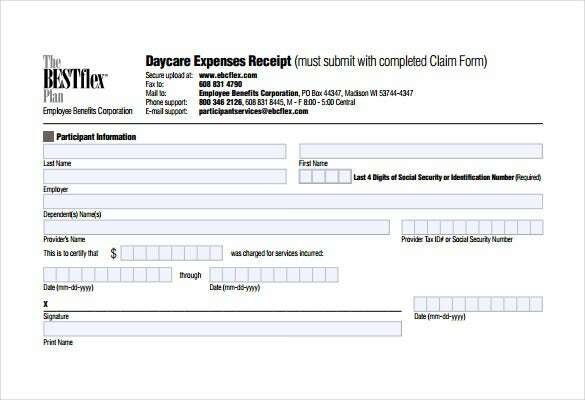 When Does A Daycare Center Need a Daycare Receipt Template? 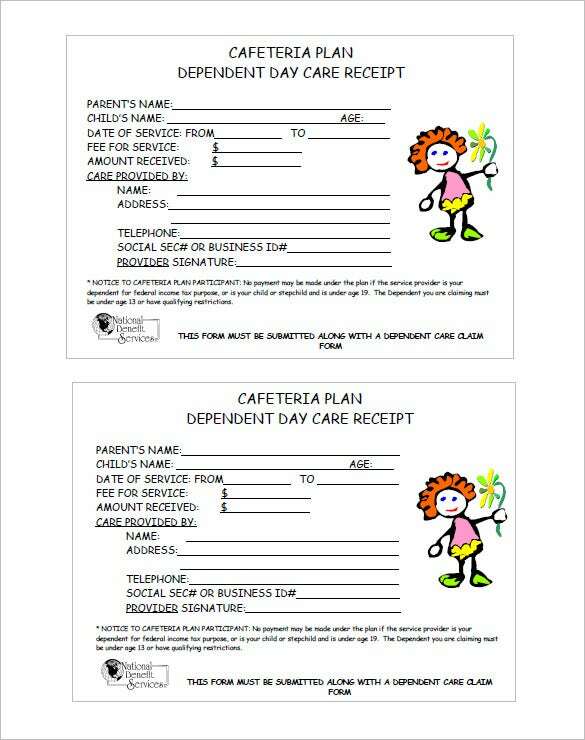 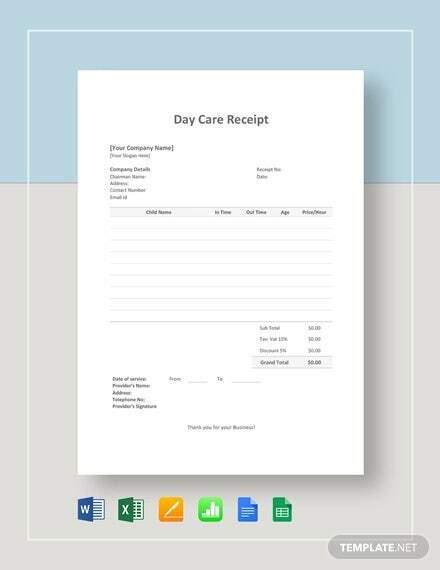 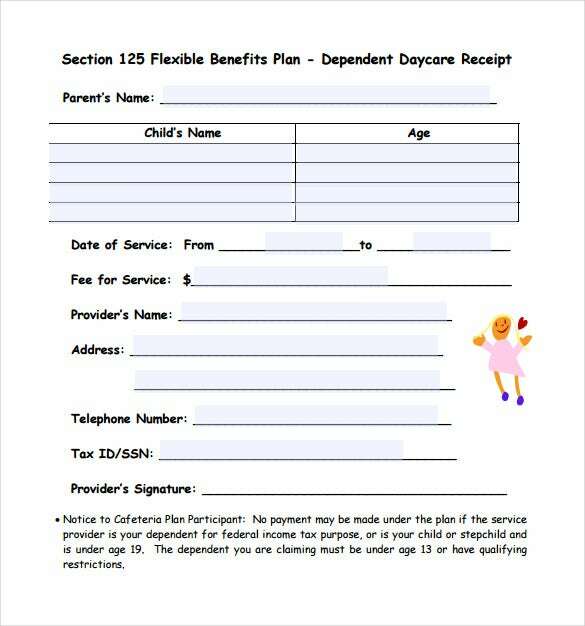 The daycare services receipt template is printable and comes in PDF format. 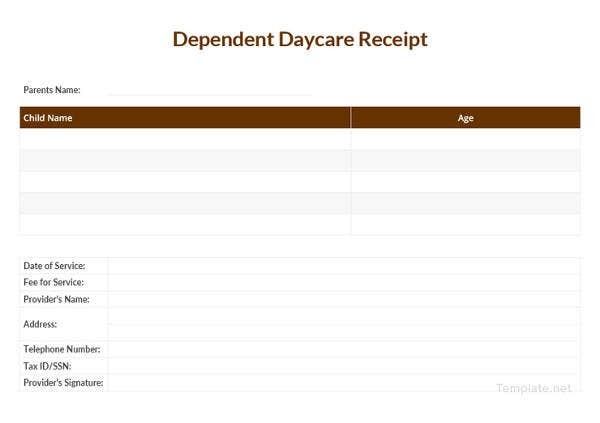 It can be converted to excel file format to make two copies of the daycare service receipt. 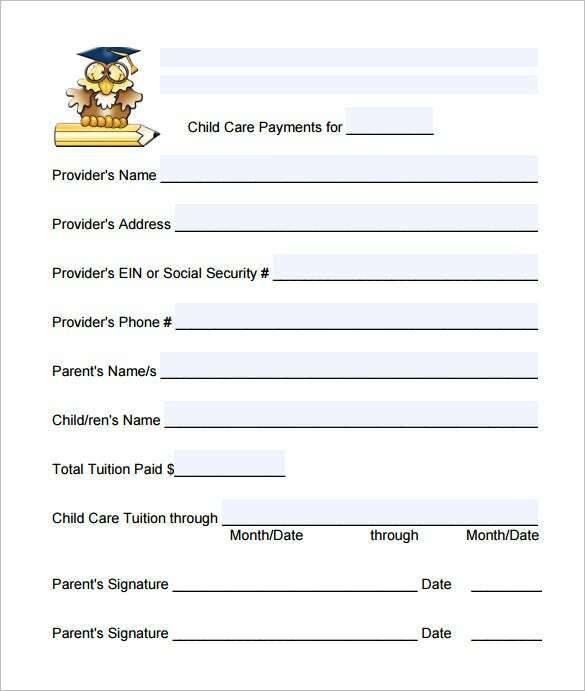 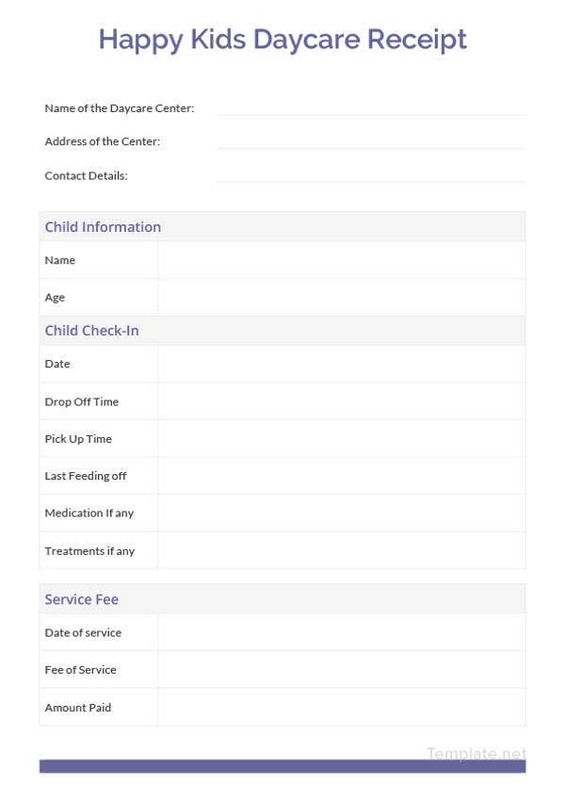 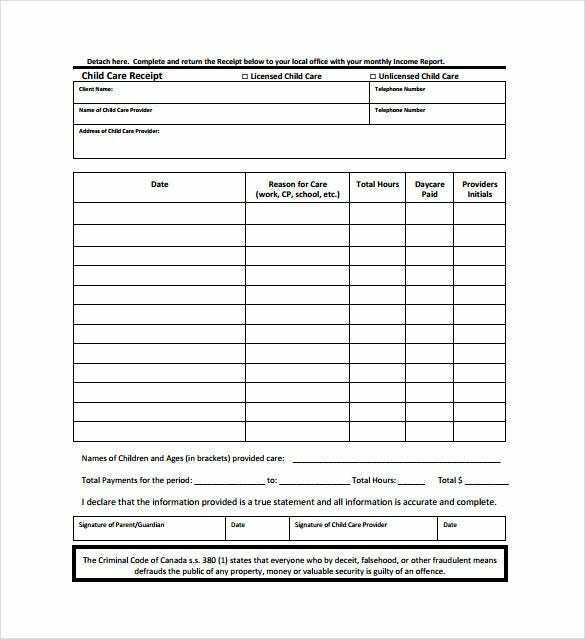 It includes designated space for filling in date, amount, received form, name of child, for child care services from and provider’s signature. 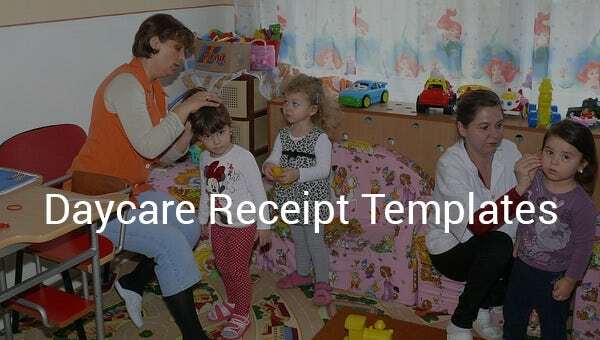 The parent needs to keep one of the receipts with himself/herself as a record. 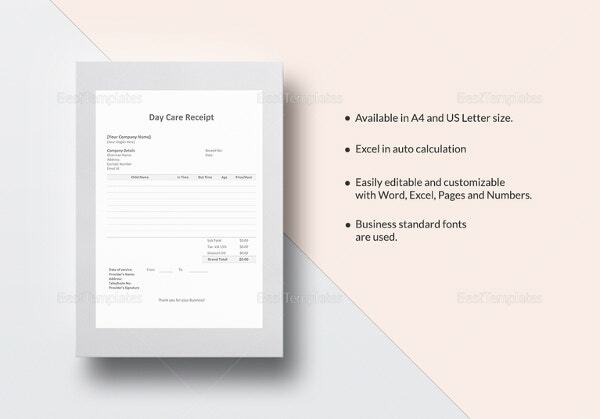 You may also see Professional Receipt Templates . 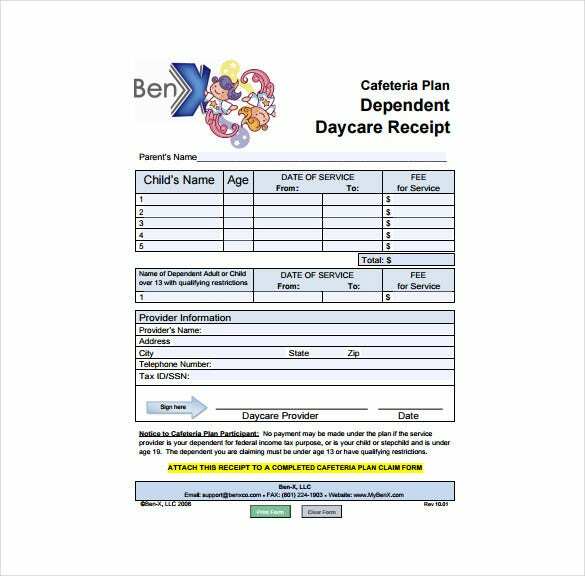 Receipt Templates will come up with a readymade blueprint of a daycare receipt which is a great time-saver as you won’t need to create the entire thing from scratch here. 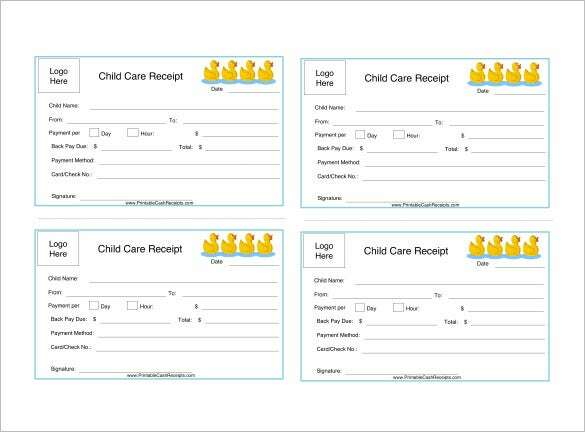 You would just have to customize the template with the typical details of your daycare center. 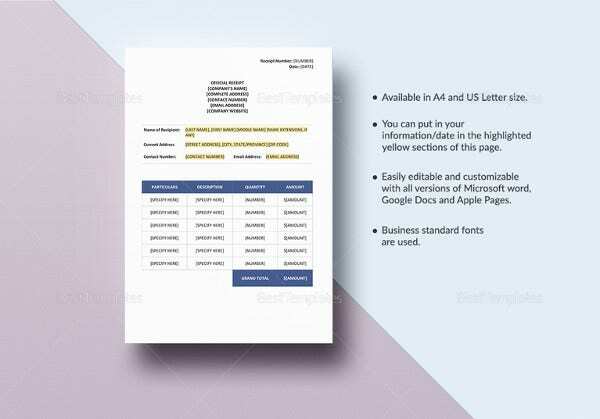 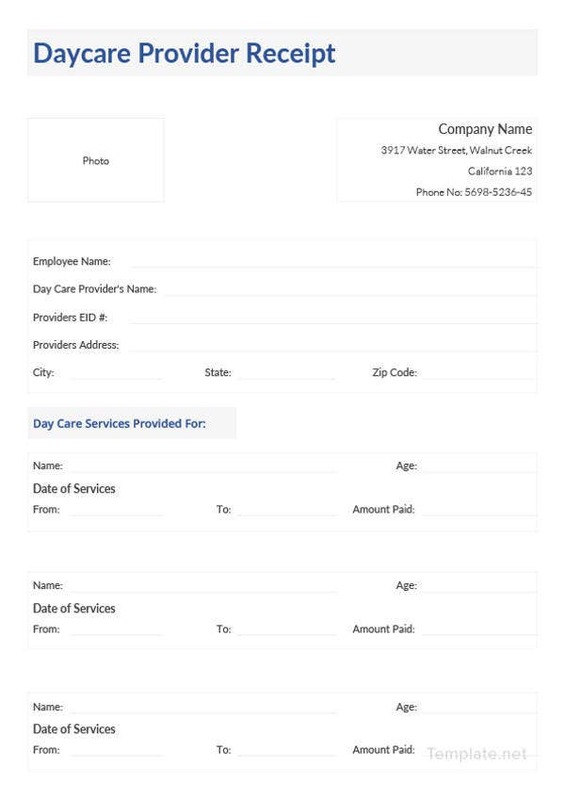 A daycare center can customize and convert the file format of a daycare receipt template to add more details and even attach their own logo to make it look more professional. 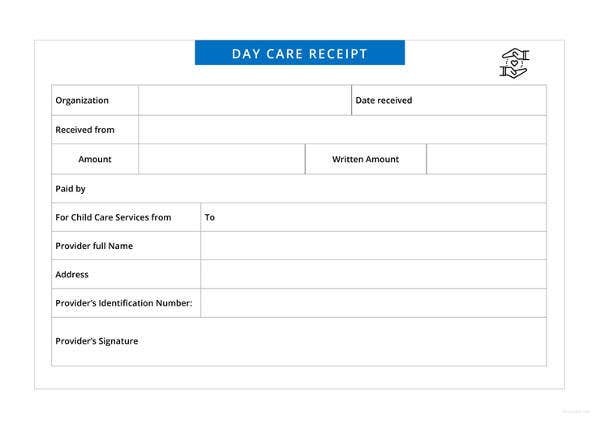 Nowadays, most daycare centers prepare two copies of a daycare receipt template and keep one filled up copy for the day care center for keeping records and give the other to the child’s parent. 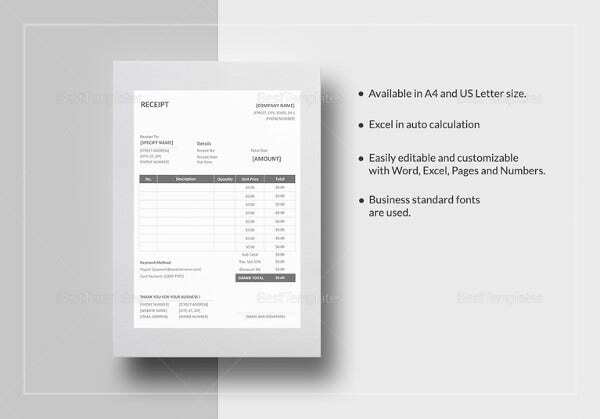 You may also see Best Printable Receipt Templates.